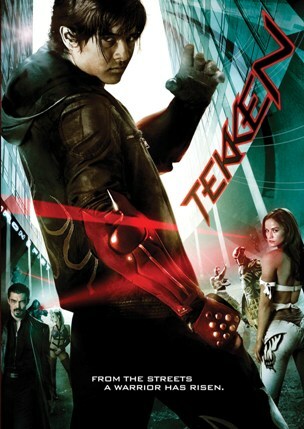 The R-rated futuristic 2010 action film Tekken (Blu-ray/DVD combo $39.99, DVD $26.98; Anchor Bay Films and Manga Entertainment), based on the popular fighting videogame, finally premiered in the home market on July 19, and director Dwight Little spoke to Disc Dish about his work on the movie. 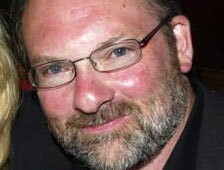 A veteran filmmaker and TV director who has been cranking out work for some 25 years, Little has been directing a slew of television projects, including installments on such hit shows as Bones, Prison Break, Criminal Minds and 24 during the last decade or so, though he also found time to direct the lively 2004 DVD premiere movie Anacondas: The Hunt for the Blood Orchids. 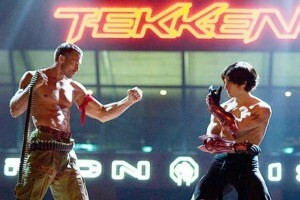 Disc Dish: Adapting a videogame for a feature film — a fighting videogame, at that — has got to be easier said then done. Dwight Little: People ask me about adaptations all the time, and my first response is that’s the story of our business. Books, Broadway plays … and now we have videogames. I wanted to look at the Tekken universe and find the inspiration to make a martial arts action movie that also had family dynamics and all the visual angles of the tournaments, the lights, the backgrounds and so on. The tournament parts freshen up the Enter the Dragon aspects of the film, while the whole corporate government set-up has a very Rollerball and Running Man kind of feeling. DD: Still, you have a core audience that primarily wants the thrills they enjoy in the videogame. DD: There’s action to spare in Tekken. You corralled yourself a group of performers who were definitely up to the task. DL: I wanted the martial arts to be authentic, which is why we got people like Gary Daniels, Lateef Crowder and Cung Lee. These guys are the real deal — authentic MMA fighters or martial artists. Once you have people like that, then you have to get your stars to go toe-to-toe with them, and that can be a challenge. I didn’t want to double the actors for the fighting scenes, and we never had to do that, but it’s tough when you have a real fighter up against an actor. DD: Nearly the entire film was shot in Louisiana, specifically Shreveport. DD: Did all your recent work in television inform anything you did on Tekken? The fight is on in Tekken (in case you don't see the title on the wall). DL: Generally, working on television has sharpened me. I did 10 episodes of The Practice with David Kelley, who’s probably the best writer on TV. His work attracts the best actors, so I can say I was working for quite a few years with some of Hollywood’s greatest talents. You learn how to do quality work extremely fast on television. I’ve handled almost every situation that could come up, from the action of Prison Break to the drama of The Practice or the lighter comedy of Bones. And that’s definitely something I bring to my film work. You have to have a lot of confidence to show up to the set of a feature. You have to be able to handle it all quickly and think on your feet. DD: Hey, speaking of action and television, I must ask you about one of my guilty TV pleasures, Dollhouse, which was canceled after its second season. DL: Dollhouse had a really intriguing concept. I wish it had found its voice. I don’t know how to put my finger on why it didn’t work. [Dollhouse creator] Joss Whedon works in his own head and in his own universe, and I think the show got caught up in its own mythology. I would have taken it in a more action-oriented direction — certainly Eliza Dushku is very capable of doing that. I think they should have played it like that a little more, particularly as it was a Friday night show.